An entirely natural product with a dual action, Hoof Moist helps improves hoof condition. The smooth gel can be easily applied with either a hoof brush, soft cloth or by hand. Oil and grease free, Hoof Moist has been especially formulated to sustain the moisture content of the hoof and allow natural fluctuation of moisture levels. The ingredients used to make Hoof Moist are of human cosmetic grade and the manufacturing process used in it’s production results in a smooth gel consistency to allow for even application. Hoof Moist also contains Eucalyptus, which gives it a natural antiseptic quality. 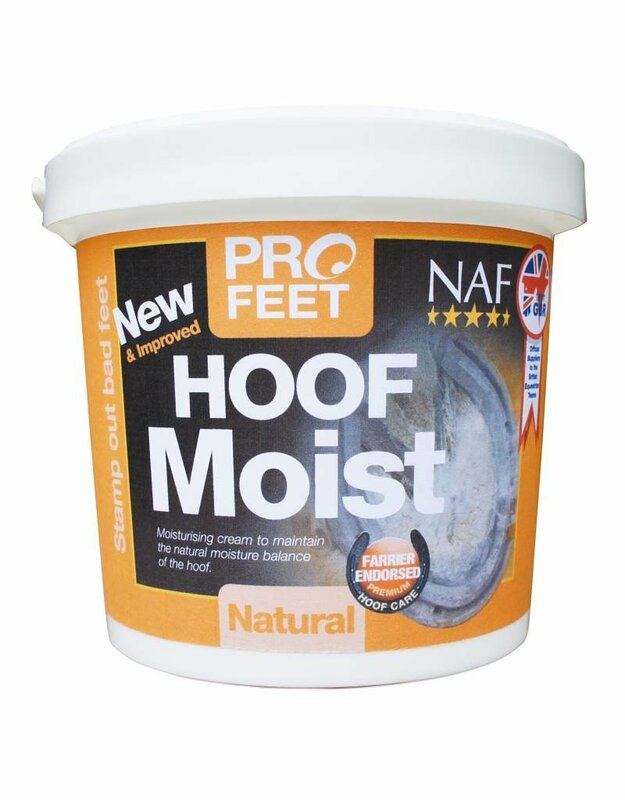 Hoof Moist is particularly useful throughout the dry summer months and also for the horse who has to spend prolonged periods on dry bedding, which can draw moisture out from the hoof.